Writing this article is akin to stepping into the void. If you think it’s hard to choose a baby stroller, try writing a review about them! After scouring internet chat rooms, independent consumer reviews, Amazon reviews, baby equipment websites, baby stroller manufacturer websites and even YouTube, I think I finally have a clear perspective of todays stroller landscape. First, you probably need to accept the fact that you will need more than one stroller. If your life is dynamic (read: “not boring”), it will be difficult to find a one-stroller-fits-all solution. There are three basic baby stroller categories: Lightweight strollers (umbrella strollers), standard strollers, and joggers. Standard strollers can be further sub-categorized into tandem strollers (double strollers), travel systems which incorporate a car seat, and the standard mid-weight baby stroller. Don’t be fooled by the term “standard”. With all the bells and whistles offered by today’s stroller manufacturers, these strollers are more akin to sports cars than baby buggies! What are your baby’s needs? If you have an infant, you will need to have a stroller that is compatible with a car seat – a travel system – or one that fully reclines. Most umbrella strollers don’t recline enough for an infant. Some strollers have weight restrictions and aren’t the right choice for toddlers. Older children will also benefit from a food tray and place to attach toys. A fully adjustable canopy comes in handy when you’re out-and-about with a sleeping baby on a sunny day. And a 5-point harness system is a must when traveling bumpy terrain. Who is going to be using your stroller? This question refers to parents, grandparents and caregivers. If your family includes a short wife and tall husband (or tall wife and short husband! ), you’ll want to look into strollers with telescoping handles. Choosing the wrong stroller for your body type can cause back and shoulder discomfort. A coffee holder and a place to easily carry or store a diaper bag are becoming standard for most stroller models. Make sure yours has these important features. If you’ve ever tried to push an umbrella stroller on dirt or grass, you’ll know that umbrellas are a bad choice for anything but pavement. If you are planning to jog on dirt paths or hard-packed beaches, you’ll need to step up and pay the price for the features a jogger provides. Joggers have large diameter, puncture-resistant wheels and suspension. However, an umbrella stroller is the right choice if you need to carry your stroller up stairs on a regular basis or frequently use public transportation. How will your stroller be stored and stowed? Nothing is more miserable than trying to cram an overlarge stroller into an undersized trunk. An SUV, or better yet a minivan, are spacious enough to handle a full-sized jogger. If you have a standard-sized trunk, you’ll want to give due attention to space restrictions. You will similarly want to respect the space limitations of your closets. One very important consideration when purchase a stroller is collapsibility. There are countless times when a single-handed collapse of the stroller will come in handy. Whether you choose an umbrella stroller, a standard stroller or a jogger, there are a few things every stroller should have. 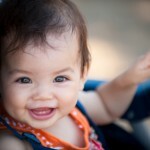 You will notice that price is not listed as one of the top things to consider when choosing a stroller. 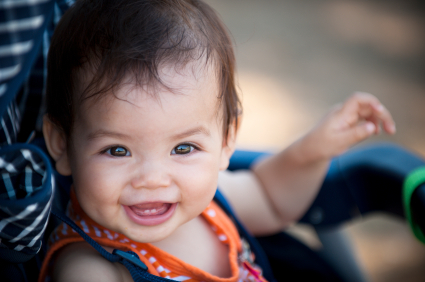 Though price is an important consideration, a stroller will be one of the most-used items you purchase for your baby. Using price as your primary criteria will guarantee the need to buy another stroller in the near future. Save your money and buy a quality stroller from the start. Check back in the coming weeks for specific recommendations on the best brands and models in each stroller category. We have bought a lot of strollers. My favorite is a jogger that I got on craigslist for $10. I recently bought a sit-and-stand I love for $25. I discovered I cared a lot less about if my kids mess it up if I haven’t spent too much money on it. And by buying cheap, I was able to get more strollers in order to match my needs for any particular outing. I am so grateful I didn’t buy the fancy “standard” stroller that was suggested to me, because I would no longer use it now that I have two kids!